Detailed data analysis in real time. Filter by date, campaign, country and even state! to accommodate players worldwide and keep your conversions ticking over. Turn your traffic into Cash. Join Number1Affiliates program today and have the chance to work with one of the leaders in the online casino affiliate market. Optional Doubled-Tiered Earning Program for Sub Affiliates. Detailed reporting system & campaign tracking. Optional server to server postback functionality. 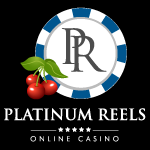 Managed by Industry leaders with over 20 years in the iGaming Sector, you will be sure to receive the best service at all times. We combine the best products with innovative marketing and up-to-date online statistics, coupled with industry know how, tips and that “inside edge” to ensure the best return for your traffic and ultimately overshooting your revenue expectations! We look forward to building a lifetime partnership with you. So it's the end of the month and you've accrued huge amounts of commission and now it's time to get paid. Here is how we can send you your hard earned cash. All commission over the payment threshold of $500 will be sent for payment on the 15th of each month. 200% match up to $250 plus 25 free spins. 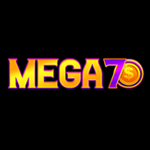 100% match up to $200 plus 50 free spins. 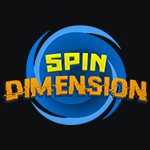 200% match up to $150 plus 25 free spins. Number1Affiliates processes affiliate’s commission payments promptly by the 15th day of each month. There is no negative carry over on your commissions, however in the unlikely event that we detect any activity of fraud, it is at managements discretion to carry over such negative balances. A chargeback is when a credit card merchant refunds a customer after the customer successfully disputes an item on their credit card statement. Unfortunately, there are a small percentage of players who abuse this system. After making a successful deposit these abusive players claim they never made the purchase so they can get their money back from the credit card company. Our casino takes every possible measure to prevent chargeback abuse, however, in the unlikely event that they occur, the amount you received for the players deposits as well as the fees incurred will be deducted from your revenue. The content of this site (including. but not limited to the text, graphics, logos, icons, designs and trademarks) is the intellectual property of http://number1affiliates.com/ and its subsidiaries, and /or third Property Law. Any unauthorized use of the content of this site may result in the user of such material being subject to prosecution and liable for the payment of damages. To use your personal data to provide you with information or materials only if you requested it. To provide you, the customer, with the opportunity to remove your information from our database, at your request. Furthermore, Number1Affiliates does not endorse Spam. We adhere to strict privacy and anti-spam policies. Only registered players and parties that have selected the "opt in" button on campaigns are placed on our email lists. 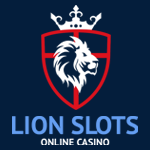 These interactive gambling services are not made available to persons who are physically present in one of the following states or countries Netherlands Antilles, state of Kentucky / New Jersey / Delaware / Nevada (USA), Canada, Chile, China, Japan, Philippines, Poland, South Africa, Turkey, Cayman Islands, Puerto Rico, Denmark, Netherlands and Finland, Mexico, and United Kingdom. 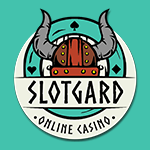 If you are physically present in one of the mentioned, you are not permitted to use the interactive gambling services or view any advertisements relating to the interactive gambling services. Number1Affiliates is the trade name of the Company, and you obtain no rights to such terms, nor any other terms, graphics, text, concepts or methodologies, by using the Web site and the material contained therein. In order to comply with the provisions of clause 5.2.3, the Affiliate hereby undertakes to sign and/or complete any and all documents or procedures and do all things necessary to facilitate the speedy and proper transfer of all Derivative Domain Names to the company, or an entity duly nominated by the company in writing. Upon activation of the Affiliate's account, the Affiliate shall be provided access to the Intellectual Property and the Marketing Material via the company website, newsletters and account relationship managers. Fraud also includes the staking or incentivizing of players in an attempt to get CPA paid as a result. All forms of this activity will result in affiliate commission not being paid. Additionally, CPA will not be paid for any incentive traffic and for any casino players encouraged using systems and methods such as the doubling system in casinos which is regarded as CPA abuse. Casino CPA will only be paid if the traffic sent to us is from real verified casino sources i.e. mailing, websites, social etc. For CPA to be paid the traffic must not be Bonus seekers and there should be no personal relationship whatsoever between the affiliate and the players. An affiliate can under no circumstances deposit and play under his own CPA account. Incentive/fraudulent traffic is determined through careful analyzing of the player accounts using certain criteria. If the player/s is/are deemed incentive/fraud by the casino, the CPA will not be paid. 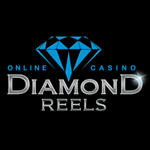 Number1Affiliates has the right to audit all players on all deals, specifically CPA and Hybrid deals for a “review period” of 7 days post the player depositing at the casino. As per above, should any of this traffic deemed to be incentivized it will be labelled as Fraud and commissions will be withheld. The company has and reserves the right to pass on any financial costs to the Affiliate's account that the company may incur due to Fraudulent Activity by the Affiliate, the Affiliate's employees and/ or Customers/ players whom the Affiliate have introduced to the company. Minimum commission amount payable is $500, unless otherwise agreed to. If a month’s commission earning is below $500 across all brands, the commission value will be carried over to the following month, and so on until the commission value reaches $500 or greater. Please take note of the following: If any person(s) is revealed to have taken part in the dissemination of any form of Spam (sending unrequested bulk messages that are not in compliance with ICANN Spam Act) their account will be placed under investigation. While under examination all commission due to such person(s) will be withheld. Pending the outcome of further investigation, the company maintains the right to preclude such person(s) from further involvement in the company Affiliate Program. In addition, if any expenses incurred by our clientele are shown to be clearly resultant from the encroachment of this policy (including legal fees) they will be withdrawn from any attributable account balance at the time of the offence. If the account balance is found to be deficient, all pending payments will be withheld until the expenses have been fully compensated. Should you require more information regarding our Anti-Spam Policy, or wish to report any incidences of Spam, please contact us at antispam@number1affiliates.com.